Grossly Flawed White House Climate Assessment: 15 Scientists. A group of 15 scientists and meteorologists have put forward a scathing rebuttal to the Obama administration’s recent climate report which said the U.S. is already being harmed by global warming. Scientists skeptical that mankind is causing the Earth’s climate to change say that such claims are based on false theories and flawed models. The White House report is a “masterpiece of marketing” that is trying to scare people into action, scientists said. The report in PDF form can be found here - LINK. We are to believe that humans are drastically changing the climate by burning fossil fuels.The problem with their theory is very simple: It is NOT TRUE. The theory of 'Catastrophic Anthropogenic Global Warming' (CAGW) is based on a string of inferences that begins with the assumptions that carbon dioxide is a 'greenhouse gas' and that we are slowly driving up the atmospheric concentration by burning fossil fuels. It is therefore claimed as self-evident that the Global Average Surface Temperature (GAST) has already risen significantly and will continue to do so. Higher GAST is then presumed to lead to all sorts of negative consequences, especially Extreme Weather. 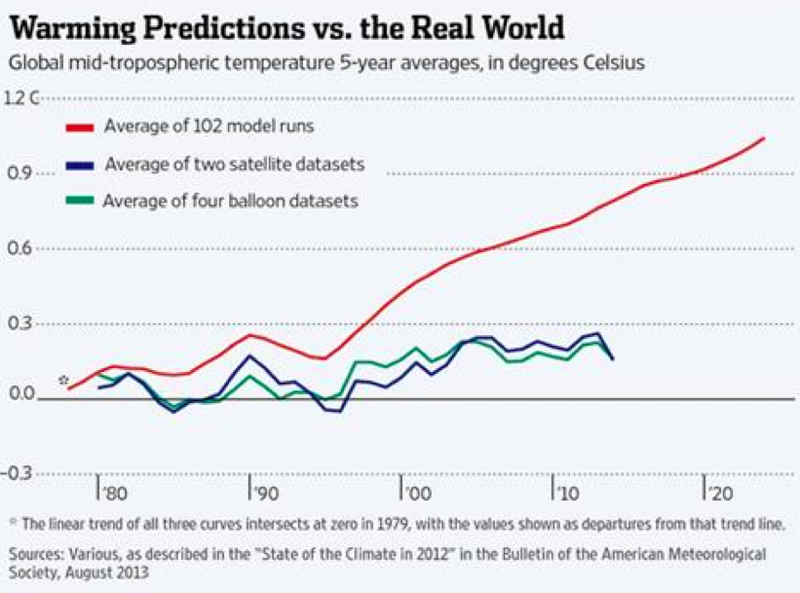 They promote their 'Climate Models' as a reliable way to predict the future climate. But these models dramatically fail basic verification tests. Nowhere do they admit to these well-known failures. Instead, we are led to believe that their climate models are close to perfection. RESPONSE: This is pure rhetorical nonsense born of a cynical attempt to exploit short term memories and/or little knowledge of the Earth's climate history and climate processes. With the Earth's vast oceans and atmosphere never in complete equilibrium, our climate will always be changing on time scales from weeks to months to years to decades to centuries and beyond. With a star varying cyclically as our heat source and with an enormous planet like Jupiter tugging on our orbit around the Sun, dramatic climate changes are expected to occur. (See pages 39-50 in USCA, Case #09-1322, Document #1312291, Filed: 06/08/2011.) However, none of these dramatic climate changes have any connection to our use of fossil fuels. Yet the Obama Administration insists on building a House of Cards predicated on their Three Lines of Evidence as discussed in CLAIMS 1, 2, and 3 above. With all three of their Lines of Evidence shown to be invalid, their entire House of Cards collapses. For example, if increasing atmospheric CO2 concentrations do not yield higher GAST, the claimed CO2 connection to higher sea levels is lost. What about their frequent claims that nearly all scientists agree with their analysis findings? By ignoring and even denouncing growing criticism, they have lost the benefit of crucial scientific debates which are critical to keeping their analyses honest and objective. In fact, as documented above in response to Claims 4 and 5, they are even disregarding their usual allies, the UN IPCC and US National Academy of Sciences, both of whom have been dialing back apocalyptic claims, not amplifying them due at least in part to such critical feedback.